ViTRON™ uses a unique pattern recognition analysis of framed pane glass breakage, providing superior detection combined with excellent false alarm immunity. These adjustment-free and easy-to-install units detect breaking of all standard framed glass types and thickness while ignoring non-framed glass breakage and other possible sources of false alarms. 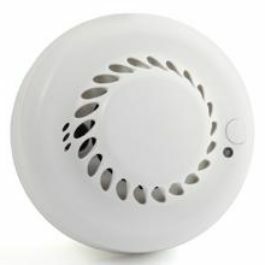 The Wireless Smoke Detector is a photoelectric detector that is ceiling mounted and designed for indoor residential environments. 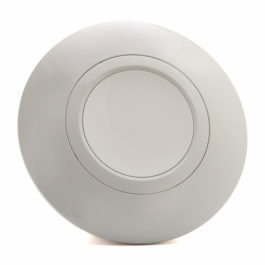 RISCO’s internal sounder is an aesthetically designed, fully wireless unit designed for residential applications which extends the sounding of the alarm into the indoor environment and can be used to scare off intruders. 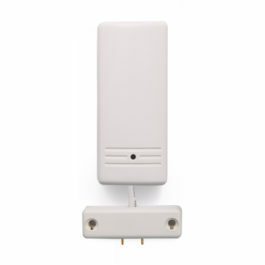 Being fully two-way, the internal sounder can be mounted in a central location inside the premises close to where the user resides with the control panel safely installed out of the sight of intruders..
A unique feature of the sounder includes a pre-alarm feature that starts an entry delay countdown and sends an alarm if RISCO Group’s wireless systems are vandalized during entry delay.